I recently read an article by a woman who confessed that she had “hated” being a teenager, and was now unsure how to both warn her children of the stressors of adolescence while letting them make their own mistakes. She wondered how to get them through adolescence in a positive way when her own past was so difficult. This article sparked a conversation between me and my own mom about the past and regrets. I had an extremely tumultuous adolescence, but I shocked my mom when I told her I wouldn’t change a thing about it. Over the years, I’ve learned to not just move past that difficult time in my life, but to embrace it. As a counselor, my past struggles with self-harm make me more sympathetic to the teenagers struggling with the same issue. My conflicted adolescent romantic relationships make me compassionate towards teens who are trying to find self-worth from the opposite gender. My past experiences with drugs make me gracious towards my clients who struggle with addiction. Even as an adult, my past is riddled with painful situations that I’ve learned to embrace. My past miscarriage makes me empathetic to my clients who have had one, as well as the family members who don’t know what to say. My struggles with infertility make me sensitive enough that I never say things like, “You’ll get pregnant soon enough, just relax” to other women. My daughter whose acid reflux meant she screamed endlessly for the first few months of her life makes me sympathetic to moms who are overwhelmed. Wrestling with my bipolar disorder makes my heart tender towards those who are also struggling with mental health issues. God has literally taken my hurts, bad decisions, and painful dark moments, and used them for good. When I was in the depths of depression or the crisis of faith that my infertility threw me into, I sure didn’t feel like God was working for my good, but as I get older and the puzzle pieces of my life fall into place, I know that I’ve needed that pain to be a more compassionate counselor and human being. So, I challenge you as parents, instead of “warning” our children about how awful adolescence can be or trying to erase their hurt feelings that come from broken hearts, bullying or unhealthy friendships, what if we helped our children identify the good that God can do in those situations? What if instead of getting angry at those who are mean to our children, we encourage our children to use those hurt feelings to assist others? What if we taught them about Natalie Hampton, the 16-year-old teenager who created the Sit with Us app to combat bullying in schools after she was bullied for two years? I’m not saying we shouldn’t work towards protecting our children and giving them the tools to navigate adolescence. However, in those moments when they run to you crying, validate their hurt and speak Romans 8:28 into their life. Let them know that God can take all of it - the awkwardness, the social stresses, the broken heart of a first love - and use it for good. They may not see it now, but they will someday. I am often blessed when I hear adolescents who have been abused say they want to grow up and help other children who have been abused. They know that this current pain will make them more effective to help others who are struggling, but how often as parents do we discuss that concept? 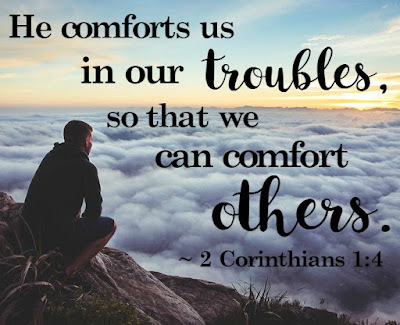 And for those of you parents who have regrets about your past and feel overwhelmed when you watch your own children struggling, remember 2 Corinthians 1:4 (NLT): “He comforts us in all our troubles so that we can comfort others. 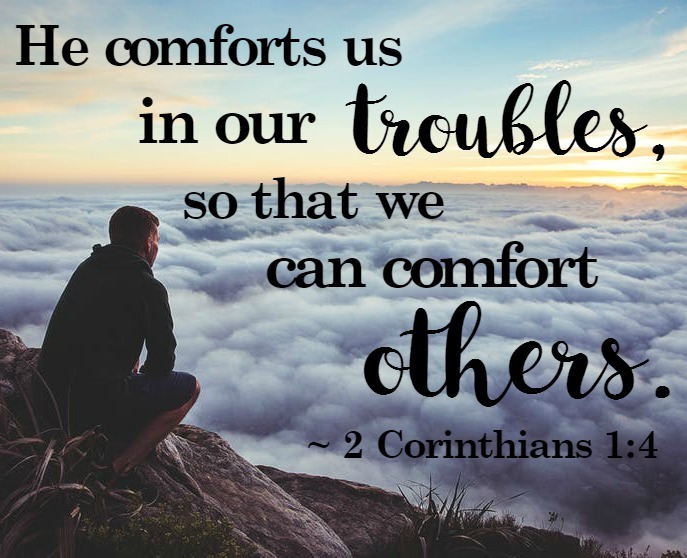 When they are troubled, we will be able to give them the same comfort God has given us.” Those cringe-worthy situations you dealt with in your own adolescence will allow you to effectively comfort your own teenagers as they navigate this complicated, tech-driven, chaotic world. It can be uncomfortable to remember those past experiences, but when they allow us to teach our children that compassion that can arise from suffering, I promise, it is worth the discomfort. This is a beautiful truth! I'm thankful for how God has used your hurts to make you so compassionate, which I know He uses to bless others. Praise God that our suffering is not wasted! Such an important message for parents and for all of us! I am not a mom but I worked with teens for years--and they always wanted someone to be real about the truth about pain and appreciated when I was able to share the Hope that is possible too. Great post! What a great thought--to actually teach our kids that their hard times might one day be used by God for good. I know that fact, but I don't know that I've taught my kids yet. What a great challenge! Such a beautiful way to look at it all. Thank you so much.